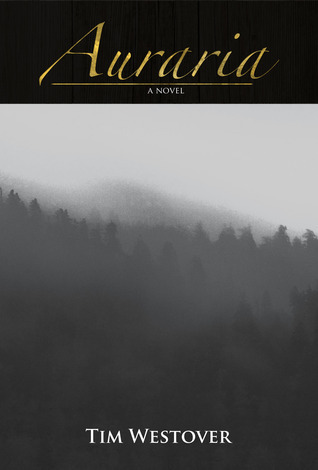 Today I welcome Tim Westover, author of Auraria, to the blog. Let's see what he had to say in our interview. Professionally, I'm a computer person, but my education is in English literature and creative writing. I started with zany fantasy stories (a story I wrote when I was a British schoolboy was called The Conker as Hard as a Diamond). In high school and college, I wrote overblown mytho-poetical novellas. Afterwards, I found more success with magical realism, especially with a collection of short stories I wrote in the International Language Esperanto. I've always use fantasy elements, but I try to put them into realistic settings. No parallel worlds or far-flung fantasy realms -- just the weirdness and magic of the everyday. 2) What inspired you to write Auraria? I live just a hour south of the Georgia mountains. Between frequent hiking trips to the mountains, I read a lot of travel guides and books on Southern folklore and history, looking for interesting places to visit. Auraria came out of discoveries from that research. While Auraria was itself a real town, I relocated events, myths, geographical features, and conflicts from other areas of the South into my fictionalized Auraria, to make a coherent story that I feel is true to the place. 3) Which Auraria character are you most like? Without a doubt, Holtzclaw. He wants to do right by everyone, not get in trouble, and be thought of as calm, competent, and pleasant, even if it means sacrificing his own personal agenda. That's more-or-less what my therapist would say about me. 4) Your previous works have been in Esperanto. What drew you to that language and what made you decide to publish this piece in English? I discovered Esperanto when reading about Tolkien and his constructed languages. What drew me to the language was the ease with which I (or anyone) could learn it, which meant that I could quickly become a participant in the language, not just a student. Esperanto has its own unique literary canon, with amazing works that are either originally written in Esperanto or are translations of works that aren't available in English. Being exposed to these works helped broaden my horizons and improved my writing. However, I didn't consider writing Auraria in Esperanto. Esperanto has a different "received culture" than English. You can't assume that your readers are familiar with the American Civil War, for example, any more than you can assume that American readers are familiar with Hungarian revolutions or Japanese upheavals. But it was important to Auraria that the reader have at least a passing familiarity with the South, even if it's only from pop culture and stereotypes. Part of what I wanted to do with Auraria was confront some of those stereotypes and dig into Southern history and folklore. English had the cultural backdrop that the story needed; Esperanto didn't. 5) What genres of books do you like reading? Any authors who particularly inspire you? I read more literary fiction than high fantasy or hard sci-fi, although I think that all of these genres exist on a continuum. I read China Mieville and Melville, Tolkien and Twain. My favorite book is W.G. Sebald's The Rings of Saturn, with The Great Gatsby a close second. I also read a lot of non-fiction, whether it's local history, pop history like Simon Winchester, or classical history from Herodotus. 6) Tell us a random, interesting fact about yourself. I've been playing clawhammer banjo for about two years. I've tried other instruments in the past, from the fiddle to the harmonica, but I've never made it far with any of them. The banjo, though, seems to work for me! Clawhammer is a particular style of playing, which is closer to the African roots of the banjo. It isn't as fast as Scruggs-style fingerpicking, but it's melodic, complicated, and old. 7) What are you working on at present? Any other new releases coming up? Right now, I'm working on being a new parent! My daughter Chloe was born just as I was finishing up Auraria. I was editing with one hand and rocking her to sleep with the other. My personal site is http://www.TimWestover.com, where I have some dispatches from explorations around the South, banjo info, assorted short stories, and links to other points of interest. I'm also on Twitter at @timwestover. Tim Westover is an established writer of magical realism and folklore fiction in both English and Esperanto. He plays clawhammer banjo and enjoys exploring the north Georgia mountains. Visit his personal blog at http://www.timwestover.com.